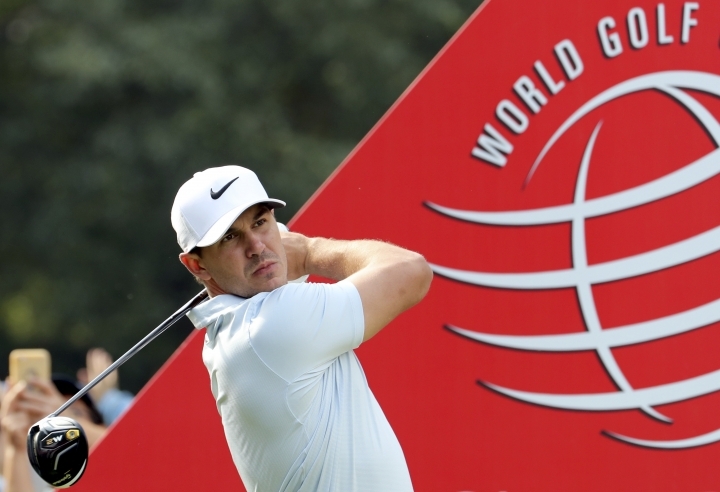 SHANGHAI — The HSBC Champions is the first stop for Brooks Koepka on his four-week Asian adventure that will include two weeks on the beaches of Vietnam and Thailand and a title defense in Japan. Splotches of mud on his shirt were evidence that it started with a wild ride at Sheshan International. "Yeah, I had some fun in the water," he said. Koepka played so beautifully on Thursday that the U.S. Open champion had reason to believe his 8-under 64 for a one-shot lead could have been much lower. He burned the edge of cup on a few birdie putts, missed one birdie attempt from 4 feet and turned a certain birdie into an aggravating bogey when he three-putted from 4 feet on No. 3. But he got away with his worst swing of the day. Wanting to play conservatively on the par-5 eighth, Koepka hit 3-iron off the tee and pulled it so badly that he disappeared down the banks of a winding stream along the entire left side of the fairway. Enough of the golf ball was showing from the shallow stream that he removed his shoes and tried to whack it out. He did well enough to advance it some 50 yards, leaving him 275 yards remaining over a pond that guards the front of the green. Koepka hammered a 3-wood right at the flag, and the ball settled about 20 feet behind the cup. He made it for birdie and a wry smile. "It was an interesting hole to say the least," Koepka said. "I hit an awful 3-iron, hit it in the water and was lucky enough to at least hit it and advance it and hit a great 3-wood in there just past the pin. We were laughing. It was almost kind of destiny to make that putt." Along the way, he ticked off another goal for 2017 — the lead to himself after the opening round. 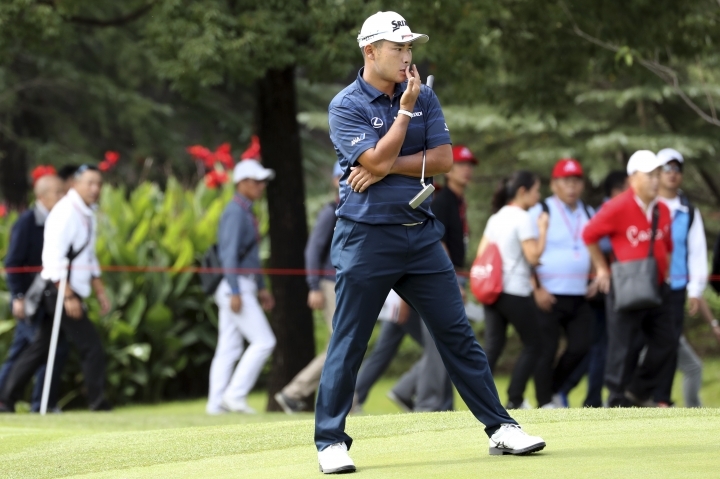 It wasn't much — just one shot over Kiradech Aphibarnrat of Thailand and Gavin Green of Malaysia — but it was where he wanted to be. "Any time you can get off to a good start and be close to the lead or have the lead, that's what you want," Koepka said. Kiradech dressed in black out of respect to the five days of funeral ceremonies back home for King Bhumibol Adulyadej, who died last October. This week ends a year of mourning, and Thais throughout the country were clad in back in honor of the late king. Kiradech made 10 birdies, including seven in a row around the turn. "I wore all black today as my own tribute," Kiradech said. "It is a special day as the final day of official mourning. It would be a great honor if I could win and take this trophy back to Thailand and dedicate it to our late king." Patrick Reed and Haydn Porteous of South Africa were at 66, while the group at 67 included Matt Kuchar and Justin Rose. "Drove it well. Found a lot of fairways," Kuchar said. "If you're not playing in fairways, you're just hoping for pars." Koepka would have taken one on No. 8, and instead he did one better. The rest of the round — except for that three-putt bogey from 4 feet — was crisp for Koepka considering he had not played since the Presidents Cup. 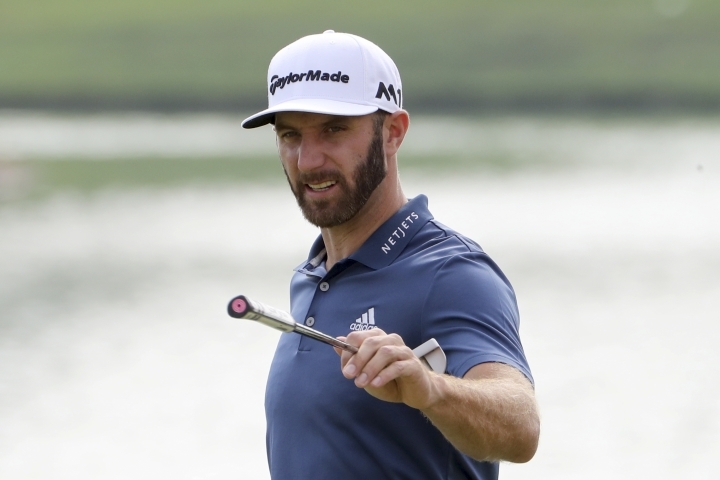 Starting on the 10th hole under abundant sunshine at Sheshan International, he capped off the back nine with a 7-iron into 20 feet on the 17th for birdie and then a massive drive on the par-5 18th that left him only a 6-iron to 20 feet, which he holed for an eagle. He already was 6 under for the round and looked to go even lower with a shot into 4 feet at No. 3, only to walk away with bogey. "I felt like I played really well," he said. "I drove it pretty well and putted extremely well except for litlte hiccup." Dustin Johnson and Henrik Stenson were among those at 68. 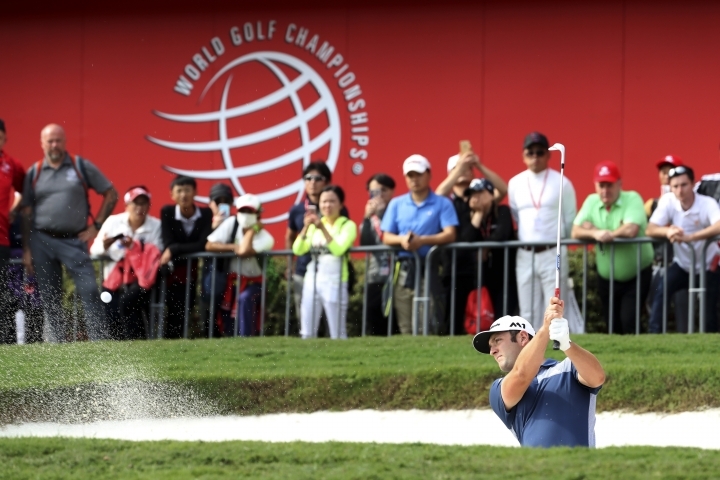 Johnson, who won this World Golf Championship in 2013, was moving closer to the lead until his wedge into No. 8 went just over the green, his chip ran 6 feet by and he took a bogey. It was on this hole two years ago that Johnson's shot hit the pin and caromed back into the water, which he says is the most irritated he's ever been on the golf course. Defending champion Hideki Matsuyama opened with a 74. 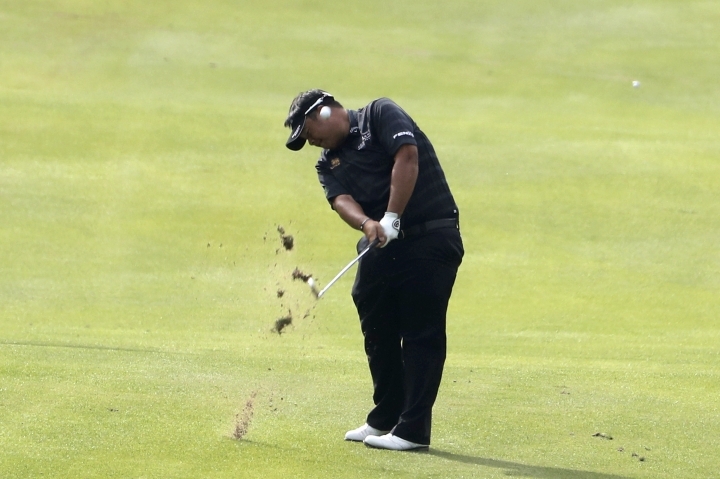 Kiradech didn't feel his game was sharp except for the putter, which can atone for a lot. He mainly was happy with his start, and his ambitious goal to honor the king the best way he can by bringing home the trophy. "It's not an easy situation because it's hard to explain how deeply our king was loved, and how sadly he is missed," Kiradech said. "He will always hold a special place in my heart, but he loved sport and he would have been the first to stay the show must go on."